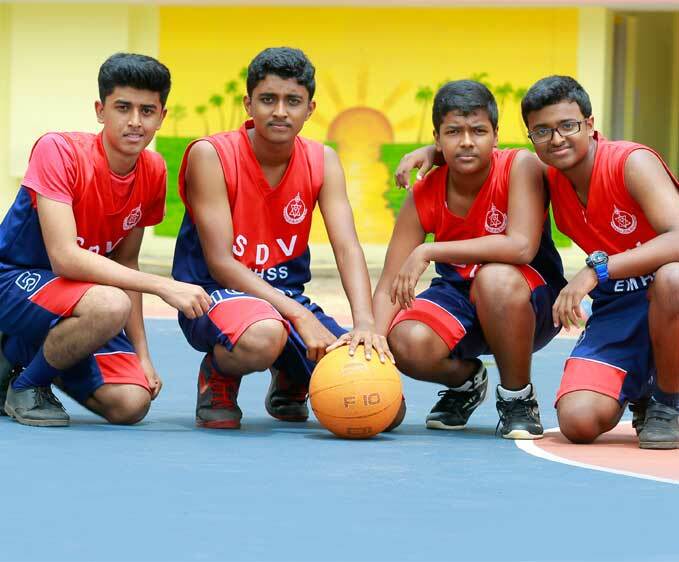 SDViens has always excelled at the Athletic Meets, for school students conducted in and around Alappuzha. Infrastructure is available to practice Basketball, Volley ball, Football, Cricket, Shuttle Badminton and Table Tennis. SDV Table Tennis Academy functioning at our school campus is an added glory for our school. Students are permitted to practice any of the sports events according to their interest. Proper training is given to help the students excel in their chosen field. We extend a whole hearted support to the students who are eligible to compete in the state and national levels. The success story of MARIA RONY in US OPEN at MILWAUKEE is an example for this. 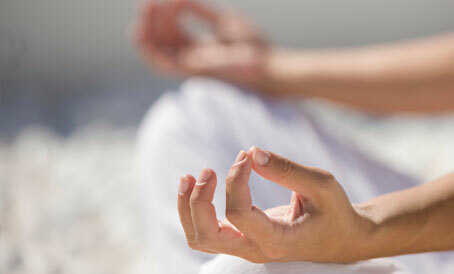 Students are given training to perform Yoga on a weekly basis. Thus a physical and mental discipline is achieved by our students. Special display of Yoga asana is done during the World Yoga Day and Annual Sports Meet. 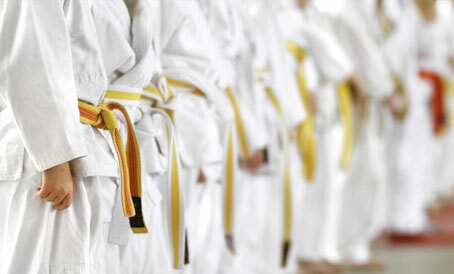 As a part of self-defense, we provide Karate training to the students. It increases their confidence level and plays a key role in their character formation. 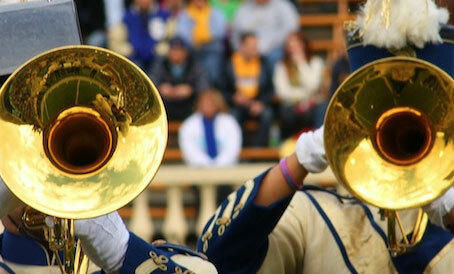 We are proud to have a well-trained band troop of our own. 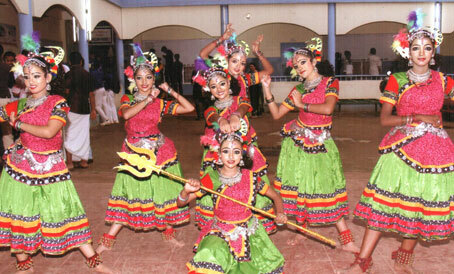 They perform at different occasions within the campus and also take part in the school level competitions. Music and Dance are given due importance at our school. Teachers give special training for the students and thus make them competent enough to take part in the various competitions held at school level, district level and even at state level and have brought laurels to our school. 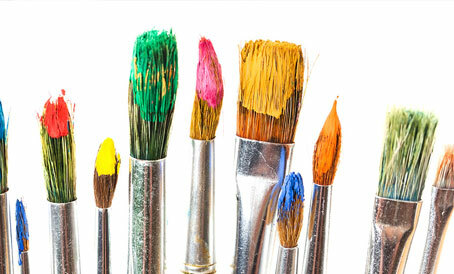 The artistic skills of the students are enriched through the classes given for arts and crafts at our school. The talents of our teachers and students are displayed the various wall paintings done in our school campus. Students are equipped in such a way that the identity of SDVien is proclaimed at the competitions held at school, district and state level.